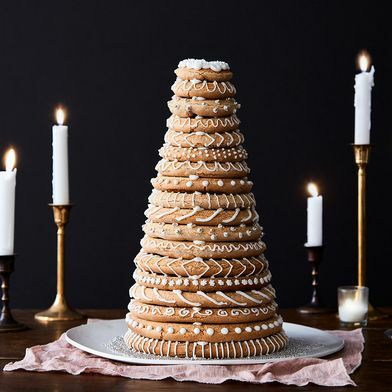 We adore gingerbread around here: as handsome humans who just happen to be vegan, as layer cake smothered in cream cheese frosting. As a house brownstone, especially if it’s our co-founder, Amanda Hesser’s. As a tower! 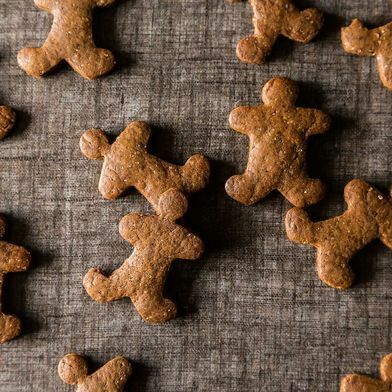 The first known recipe for gingerbread came from Greece in 2400 BC. Chinese recipes for gingerbread were developed during the 10th century, and by the late Middle Ages, Europeans had their own version of gingerbread…Gingerbread arrived in the New World with English colonists. The cookies were sometimes used to sway Virginia voters to favor one candidate over another. The first American cookbook, American Cookery by Amelia Simmons, has recipes for three types of gingerbread including the soft variety baked in loaves…This softer version of gingerbread was more common in America. This recipe takes “the soft version” literally. What if, I wondered, we went even softer than cake? And even creamier than frosting? 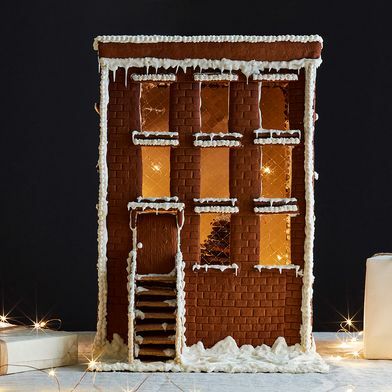 What if we—okay, I—wanted gingerbread after the holidays? 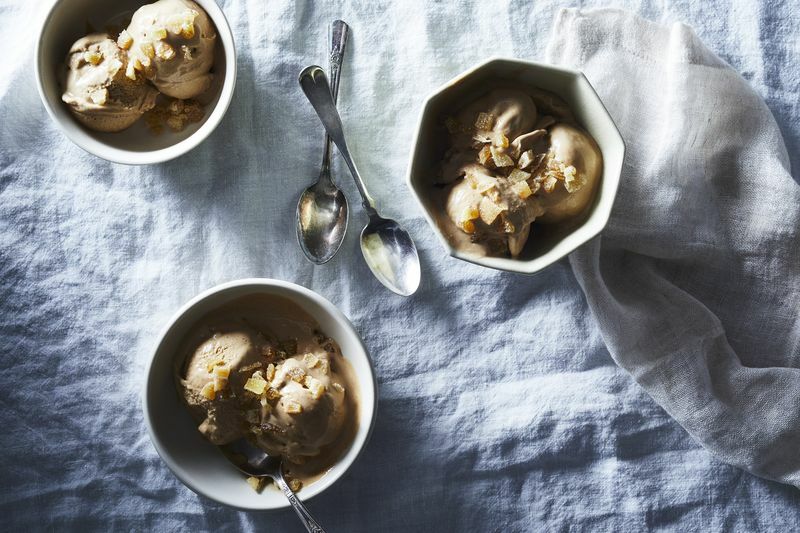 Oh hi, gingerbread ice cream. You could add in espresso, too—why not?—and even play around with the spices. Gingerbread’s personality is, well, personal. Maybe you like honey, too: Swap in that for some of the molasses. 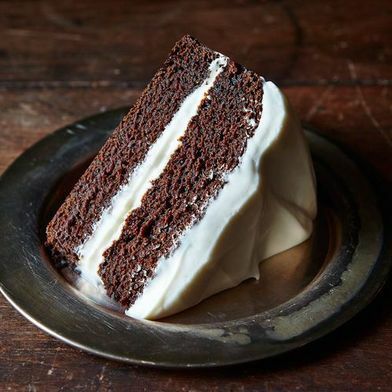 Maybe you want it extra dark: Substitute some of the white sugar for more brown. Maybe you need all the spices: Add those, from nutmeg to cloves, to taste. 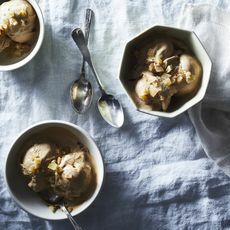 I sprinkle the ice cream with candied or crystallized ginger, chopped into bits and bobs. But no one is going to turn away a dollop of whipped coconut cream. And if you want to warm up a slab of “real” gingerbread and serve it a la mode with gingerbread ice cream? What?! You’re wild. I like it. What are your family’s gingerbread traditions? Tell us about them in the comments below! This article was written by Emma Laperruque from Food52 and was legally licensed through the NewsCred publisher network. Please direct all licensing questions to legal@newscred.com.